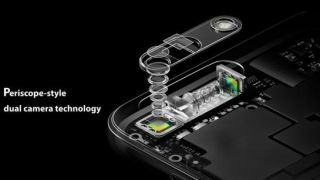 Super zoom technology, coming to a smartphone. Oppo may not be a household name just yet, but if it's camera phone technology is anything to go by then it could well be the manufacturer to watch. The phone company has just teased that it is ready to show off 10x optical zoom capabilities on a smartphone. Given most camera phones have a 2x optical zoom, with the Huawei Mate 20 Pro pushing this to 3x (5x with some processing), managing to get anywhere near 10x sounds impossible - and sounds like best camera phone territory. But Oppo has history with pushing the optic boundaries. This is a company that revealed its 5x optical zoom technology in 2017. Unfortunately, that tech never actually made it into smartphones. As great smartphone photography is at the moment, optical zooms have always been something of an issue. This is due to phones getting thinner and zooms needing space between lenses - space that just isn't there on a smartphone. This is why the likes of Google has been trying out innovations such as Super Res Zoom, to replace optics with algorithms. And the results are impressive. There is still something about having an big optical zoom on a camera phone that's enticing, however. Quite how (or indeed if) Oppo has managed this, is unclear. But we do know that an invite has been sent out for 16 January, when this technology will be put on display. On the invite, it's hinted that Oppo is using Periscope-style dual camera technology. We should find out what this actually means shortly.